I freakin’ love the fact that this whole author thing allows me to meaningfully contribute to great charities. I’ve helped to raise over a grand for various charities over the past two years, which fills me with warm fuzzy karma. And it’s fantastic to see so many great people donate to awesome causes. 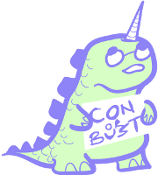 Con or Bust is a great charity that helps people of color attend SF/F conventions. I think promoting diversity in fandom is very much a worthwhile endeavor, as speculative fiction has historically been about embracing differences and exploring a wide variety of perspectives. We need more of it. This is my third time participating in the annual Con or Bust auctions, and now that the Daedalus trilogy is finished, I’m proud to offer up signed copies of all three books — The Daedalus Incident, The Enceladus Crisis and The Venusian Gambit — for auction this year. The auction page is here. Bidding will start at $25, and I hope it goes through the roof. You can start bidding on Monday, April 20; bidding ends Sunday, May 3. Yes, I’ll remind you again when we’re up and running, but it’s never too early to begin saving up your pennies. And yes, this includes The Venusian Gambit, which is due out May 5. With shipping, you probably won’t get it before the release date, but you’ll probably have the very first signed copy. (Well, one that isn’t an ARC.) That’s gotta be worth a few bucks, right? Be sure to check out the other Con or Bust auctions as well. There’s a lot of great stuff there, and it’s all for a good cause. Let’s keep making SF/F the kind of welcoming, inclusive community we want it to be.